"And now the top ten, brought to us by Larry "Bud" Melman." This time of year people put out a lot of lists, trying to sum up various things that happened over the year. 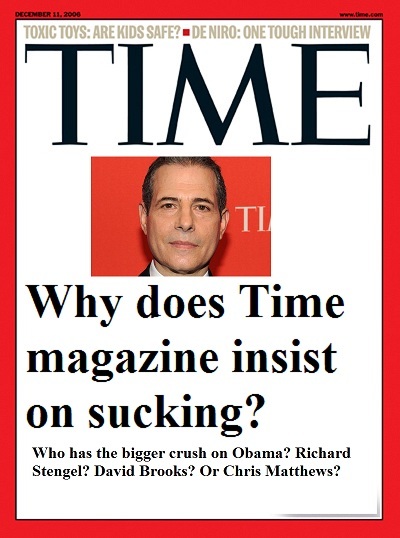 Time Magazine put out their top ten list and the number one news story of the year according to Time? Their list doesn't even mention Solyndra or Fast & Furious, and while this is a US News list, what about Arab Spring, Osama Bin Laden's death, European Union problems, Japan's earthquake and tsunami, or the attack on Libya. If you decide by actual amount of coverage, the Casey Anthony case was the biggest news story of 2011, deservedly or not. And that didn't even make the list. And while "the economy" sort of covers this, unemployment averaging in the high 9% was one of the biggest stories of the year. Not on the list. Now, its easy to brush aside some of this Time list as bias (they're not going to put anything on the list that hurts President Obama), and some of it you can tell is just ignorance of history like the "Freak weather" story - also part of the Narrative trying to support global warming climate change. But seriously, this is just a bad list by any real news standards. Of that list, only 1, 2, 3, and 7 were really huge stories, and 4 and 5 could make the list, barely. I get that a representative being shot is a pretty big story but bigger than Japan? And world news would push half of that off the list or more, because of the major things that took place such as the Russian election scandal. I note you missed the tsunami/ reactor meltdown, too. I don't know why the Giffords shooting would even be on the list, except that it's a handy blunt instrument for the anti-gun types. No, that was in Japan, which wasn't US News. This list was supposed to be top 10 news lists. The reason the Giffords shooting gets on my list is because its the first time a major politician has been shot and hurt for decades.